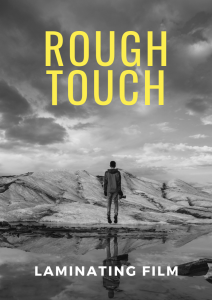 Jet Technologies has announced the launch of the latest innovation in textured matte film, Rough Touch, featuring a unique rough, gritty feel. The highly versatile Rough Touch thermal matte film, provides a completely new touch and feel that further meets consumer demands for luxury looks and sensations in products. It provides a high-quality matte finish with enhanced colour and is applied in the same way as any other conventional film. Importantly, it offers extra protection for printed jobs through avoiding scuffing and curling. The film is also compatible with a range of finishes such as spot UV or hot stamping, and is able to be glued and printed on by traditional offset with oxidative inks (specifically for non-porous materials), offset UV and screen printing.